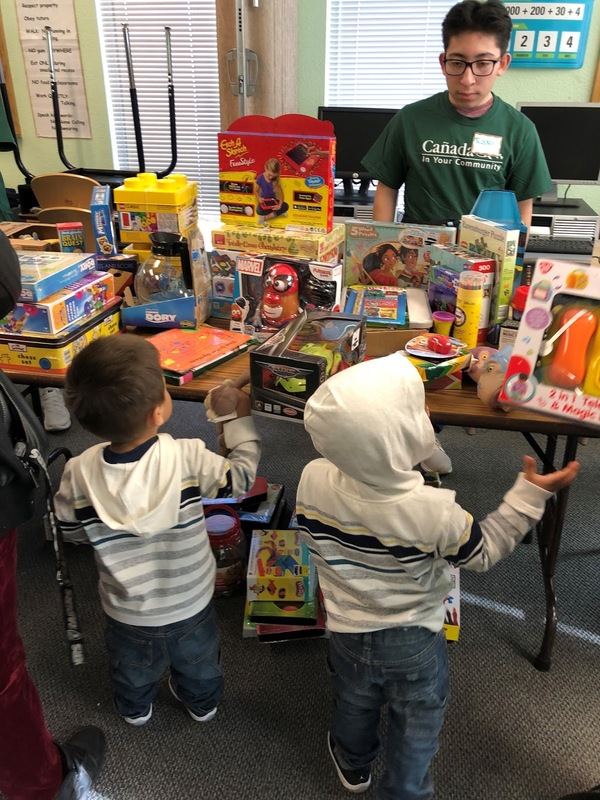 Cañada College held its Third Annual Jacket & Toy Drive, generating the largest amount of donations to date at more than 400 items! 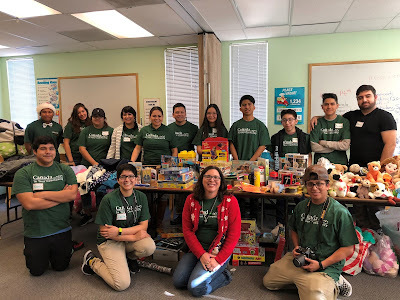 This year, the College partnered with non-profit organizations: Bay Shore Christian Ministries, New Creation Homes, Baby Basics and Redwood City Police Activities League (PAL) to benefit families in East Palo Alto, Redwood City and North Fair Oaks. 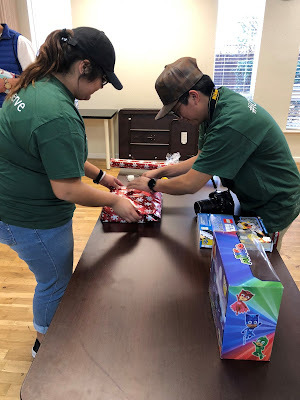 The donations were collected on campus, in partnership, with several clubs and departments, including: the Cañada College Marketing & Outreach Department, SparkPoint, ESO Adelante Program, Beta Zeta Nu (Cañada College's Chapter of Phi Theta Kappa), Office of Student Life & Leadership Development, Library and Learning Center, Business and Entrepreneurship Club and Rotaract Club. In addition, the College received a monetary donation from Collection 55 Cellars in Redwood City. Cañada College students and staff were on hand to personally deliver the toys and jackets to children, while connecting with their families at three different events in December. Children and parents also heard a brief presentation on educational opportunities available to them at Cañada College where they could sign up to receive additional information to enroll. In addition to the jackets and toys, families received information packets that included promotional material, including class schedules. Thank you to all members of the campus community who donated toys and jackets and helped us to strengthen our partnership within the East Palo Alto & Redwood City communities.